So did we get it wrong? Did we really force Microsoft to change things back before giving them their due? Before I settle into explaining myself, I feel I should explain some things. First of all, I have been a 2 console gamer since the PlayStaion 2 and the original Xbox. Last generation I went with Xbox 360 first because I was already a fan of the platform and because Sony was releasing the PlayStation 3 at the absurd price of $599.99 US dollars and made obnoxious comments suggesting gamers get 2 jobs to afford one . It wasn’t until the first redesign that removed backwards compatibility and a price drop to $399.99 that I decided to jump back in to the PlayStation ecosystem. And even then, I only used the console for exclusives and very rarely played any cross platform titles on it. I did a great majority of my gaming on the Xbox 360. I enjoyed Xbox Live more, I preferred achievements to trophies and every game seemed to run better on the 360 due to the PS3’s Cell architecture. Needless to say, I was very excited to see what Microsoft had in store for their next gen console. For months I would eat up every morsel of rumor and speculation on the “Xbox 720”. Unfortunately, most of the rumors were terrible. No used games. Always online. Neither one of those things sounded appealing to me in any way, shape or form. First of all, I do buy used games – be it games I missed when they first came out, or games that I didn’t feel totally sure about. I have never been keen on plunking down $60 for something that I might either hate or complete in a couple of days. That hasn’t appealed to me since Max Payne 2 (a game I loved, but hated that I finished it in 1 day). With store’s like Gamestop, I could buy it used and if I didn’t like it, I could return it for a full refund in 7 days; something you can’t do with new games. I also sell my games on eBay for a price that I dictate to ensure I get the most value for the game once I’m done with it. Yes, I know all of the arguments against used games, and I will get to that a little later. For now, I am saying that the idea that I wouldn’t be able to play used games on a console was just about the most unappealing thing ever. Then there is the always online rumor. Yes, we do live in a connected society and in order to use a lot of modern technology, it requires a connection to the internet. The only difference here is that I can still play my games without an internet connection unless it was a multiplayer only game, and considering I don’t usually play those types of games, or at least hadn’t, the very notion that my console would be a useless, most likely expensive, brick without an internet connection was even more of a turn off. Well, as it turns out, I was both a little bit right and a whole lot of wrong. 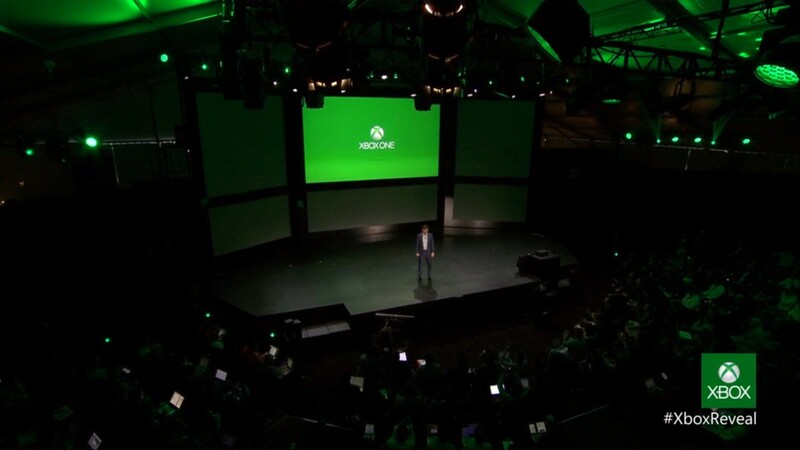 An exciting moment in gaming, the Xbox One reveal. Digressing a bit before I get into the reveal for the Xbox One, just over a year ago, Sony announced the PS4. Sony revealed their vision of the future, but made no mention of the rumors they too had bandied about regarding restricting used games and such. Whenever asked, they would simply say, “You can play used games on the PS4,” which at first seemed to be the final word on the matter. That is until the Xbox One reveal in May. In context of hindsight, that seemingly direct and to the point statement was actually as evasive and mysterious as anyone could have imagined. On May 21st, 2013, the Xbox One was revealed, showcasing a flawless new Kinect that could do every voice command without issue or hesitation. They talked about how they wanted the Xbox One to be the center of the living room and the only box consumers would need for their home entertainment. Awesome. I love the media features on my PS3 and with Kinect being showcased so flawlessly, I was actually kind of intrigued by the machine. OK then, I guess I have to wait till a later date then. That later date came on June 6th, 2013 when Microsoft lifted the veil on their elusive plan regarding their used games policy and the 24 hour check in. After this info dump, Microsoft swiftly canceled all one on one interviews for E3, which was the following week. Any chance to ask “why” was quickly snuffed out. 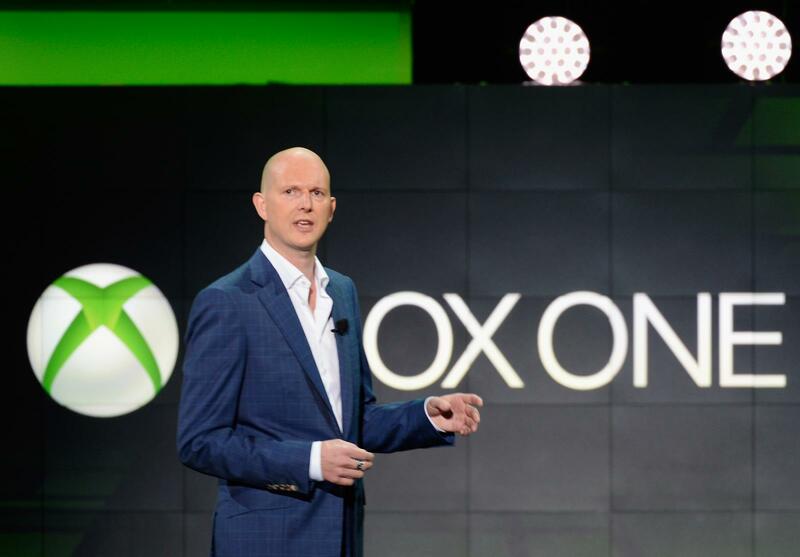 During E3, Microsoft remained cagey as ever, despite the instantaneous backlash from gamers and the press, calling all of this “anti-consumer.” A sentiment I vehemently agree with. 1 & 2) By imposing restrictions on how I treat the physical disc I have purchased – either by funneling me through “participating retailers” or by only being able to “give” it to a friend on my Live friends list who has been there for 30 days, they are infringing on my rights as a consumer. Technically, some will say, I can still sell my game back to a “participating retailer” which is still in line with the first sale doctrine. This is absolutely true. However, what this system does is severely limit the options of what I can do with the physical disc – and the game that’s on it – I have purchased. This shouldn’t be OK with anyone. At any time. Ever. So MS saying what I can and can’t do with what I bought is 100% anti-consumer. 3) How I translate the “24 hour check in” is that this is Microsoft’s way of controlling gamers to make sure they aren’t using any means they haven’t approved of for acquiring used games. Which is “participating retailers” and limiting them giving or selling or trading their games with someone who has been on their approved friends list for at least 30 days. This is, in extreme terms, like checking in with a probation officer who is making sure they aren’t doing something they’re not supposed to. Something they aren’t supposed to do… with the game they paid their money for. Again, this shouldn’t be OK with anyone. At any time. Ever. Many feel that the DRM was to stave off and give publishers more money from used game sales. And many were unhappy. Unfortunately, this was perfectly fine with a large segment of gamers. Somehow, removing options that we have enjoyed for decades is all of a sudden OK. And anyone who wasn’t OK with this was considered a knuckle-dragging cavemen Luddite who is somehow against the advancement of technology. Never mind the numerous ways other pieces and facets of consumer technology has advanced while not removing the options we have grown rightfully accustomed to. Take MP3s for example. These relatively small files have made keeping and accessing our music so much easier and more convenient. We can transfer our CD’s (yes, some people enjoyed music before MP3s and iTunes) to the computer, convert them to the format, and have our complete physical collection in one digital place and take it with us everywhere without cumbersome discs and disc players. Great, right? Now imagine if all of a sudden, you couldn’t upload you CD’s anymore and were forced to make sure that every single song in your phone or iPod (or whatever your poison is in regard to MP3 players) had to come directly from iTunes and your media device made sure that every song you own is acquired this way once every 24 hours – hours of music gone from your daily life because now you can only listen to your music in the most restrictive, inconvenient way possible. What Microsoft was proposing was the same thing – making sure you only enjoyed games as purchased and traded through means they have deemed acceptable. It sounds awful and yet every day, I encounter people that were perfectly OK with this. The reasons I am given time and time again are that gamers could possibly enjoy cheaper games and the Xbox One Family Share Plan. Let’s address these things separately. First of all, cheaper games. This could very well be the case, but if it was, why didn’t Microsoft say this? Give us proof. If they are asking consumers to fork over $500 and restricting what we do with the discs based games we buy, show us something we are getting in return beyond the ability to access our games faster. When I ask this question, the example given 99.9% of the time is “Steam.” OK, fair enough on the surface, but what people aren’t thinking about when they offer this example is that Steam is run and owned by Valve – a software company. They designed a digital retail store – a place where people can go to get their games digitally. They make money from their sales and from their own first party software and the things that go with it, that’s it. To the best of my knowledge, there are no licensing fees paid to them for peddling the wares of publishers in the way licensing fees exist from console platform holders. Now let’s look at Microsoft and Sony. These two companies hold platforms. They have hardware on which you can only play games designed for their platforms, meaning every piece of software, first or third party, generates revenue for them due to licensing fees, on top of a percentage of every game sold. Being platform holders also means they need brick and mortar retailers to sell their hardware to consumers. If digital prices undercut what the retailers, who make next to nothing off of the software or the hardware, sell their games for then these retailers will stop selling their hardware. It doesn’t benefit them, in any way, to offer cheaper digital games. I’ll even try on my one tinish foil hat. If I owned a business and I found a way to remove the middle men from the equation – remove manufacturing costs of discs, remove the cost of shipping, remove the percentage I had to give to the retailer and could still sell the items for the same price I had been with those costs – meaning more profits for me – why on earth would I lower the prices? What incentive do I have as a business to lower the price to consumers? With these two factors alone I have zero confidence that this restrictive DRM was going to benefit the consumer. It was designed strictly to stave off used game sales, and to give more money to the publishers who have been lamenting used game sales for years now. I have gone into how I feel about publishers and developers getting a cut of used games sales before. In short, retailers purchase every copy of the game they have on their shelves. It’s not on consignment, therefore publishers and developers received their money when the game was bought new. Nearly every used game on store shelves was purchased new, and since used games don’t reproduce, I feel they received the money they earned. Which brings me to the Family Share Plan. As pitched, the Family Share Plan would mean that up to 10 people could access on Xbox One user’s library of games and play any game they wanted, to completion. The only restriction is that it could be no more than 2 people playing the same game at once – yet again, this last part remains unclear. OK, let’s break this down for a second with a little context, shall we? So I can only sell my used games to “participating retailers” and can only give the game away once to someone on my friend’s list as long as they’ve been here for 30 days. However, with this Family Share Plan, I can buy one copy of a game and share it with 9 of my “family members” with the only caveat being that we can’t play the game at the same time? That’s one sale for 10 people. If publishers and developers are lamenting used game sales, then how is sharing 1 game amongst 9 people lucrative or beneficial to the publishers and developers? Can anyone explain this? I would really love to know because no one I have asked in the past 10 months has been able to answer that. The only thing I have gotten in regard to an answer is how this might be a risk publishers are willing to take because people can’t play the games at the same time, and would entice the other 9 people to buy the game. Reasonably sound logic, but considering loaning and renting games weren’t going to be supported, isn’t that essentially the same thing or worse? So wait, I had to pay for it 3 weeks earlier, but now I can share it with 9 other people? Which is it? Again, questions NO ONE asked Microsoft. Mere days after E3, Microsoft reversed all of the policies, delighting a great many, angering quite a few. Amongst the pre-reversal supporters, there is an almost disturbing level of faith in whatever Microsoft said, and anyone who was against it or even questioned it, were accused of throwing “hissy fits” or having knee-jerk reactions. They think that if we would have just given Microsoft time they would have explained it all. I speak for myself, but can assume I am not alone in this, when I say that I would have absolutely listened to Microsoft explain it. I would have loved to hear the benefits that made up for limiting my options of what I do with the games I buy. And if they were actually beneficial, I would have gone along with it. Maybe I would have waited to actually see it come to fruition, but I would have been willing to give them the benefit of the doubt that they would make good on this. Instead, a mere 5 days after E3, Microsoft reversed their policies. 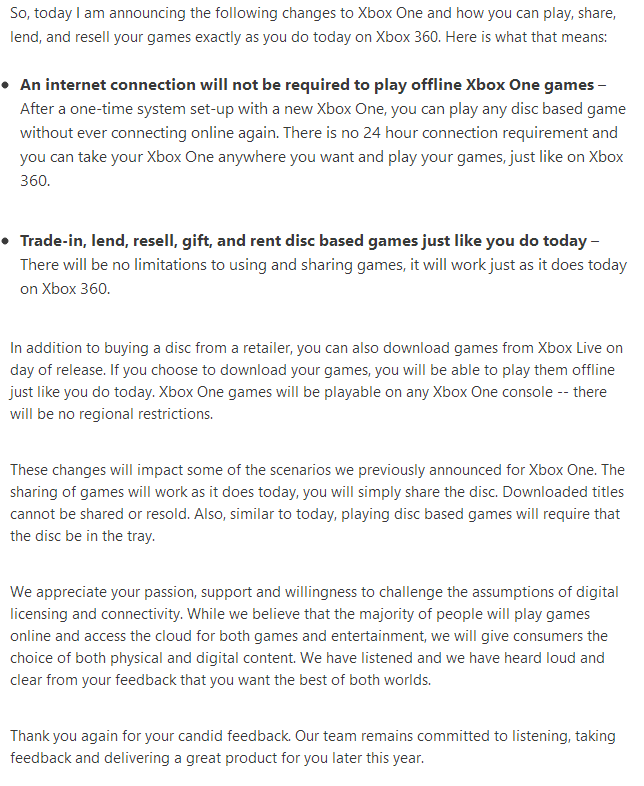 Much like how they announced them, they posted a page on Xbox.com saying they were listening to gamers and giving them more options so we could sell our used games as we always have, we could play used games on the console as we always have and we wouldn’t require an online check in. I have good news for these folks; you can’t lose something that you never had. And what happens when I say all of this to these people? I am told that I’m a Luddite and that I should have listened to Microsoft’s plan. However, I did listen, they just didn’t say anything. Instead they undid years of engineering, planning and dealing in a matter of days. Why? Because of internet “hissy fits?” I guess we will never know exactly why, but if I had to make an educated guess, they saw really poor pre-order numbers after E3 and knew that in order to get things back on track for their needed bottom line, they needed to act fast. Now behold their success; according to Microsoft, the Xbox One is now the fastest selling Xbox console with nearly 3.5 million shipped -per the last reported numbers – and at least 3.2 million consoles in users homes. And here is the best part; Now we all have options. Digital only folks can go that route and fast swap games to their heart’s content. And folks like myself can buy and sell our used games, just like we should have always been able to. Because of this I will be adding one more to that 3.2 million figure very soon, March 11th in fact and I have the pre-order to prove it. So thanks, Microsoft. I don’t really know why you did it, but I’m sure glad you did. Now can we all just get along? Quite the thought provoking article. I’m glad I has the chance to read it and am glad they changed their minds. I am more of a playstation gamer myself but like to keep up on what both sides are doing. I do feel however that Microsoft as of late has been trying to alienate a lot of players and then realizing it won’t help them, changing their minds and then trying to weasel their way back into it whenever the next opportunity arises. By the way, about the new connect, it seems the released model is nowhere as efficient as the one they had modeled. Thanks for reading! I appreciate the compliment! Couldn’t agree more. I just wish it never came to this. 1. Kinect. This is an accessory, not an integral part of the “architecture”, as Microsoft claimed (and another one of their 180s on the system’s capabilities). I shouldn’t be compelled to purchase an accessory that I have no desire to use. 2. $500 US. This ties in to Number 1. If I’m not inclined to buy an accessory I don’t want, I sure as hell won’t pay an extra $100 for it. 3. Microsoft’s pattern of reversals on the Xbox One. If they reversed all, or most, of their policies, there’s little to keep them from doing so again and implementing their original changes down the line. I’m a PS gamer and have always been. I have a PS4 and I love it, I also really want an XBox One as well, but I absolutely flat out refuse to pay for that damned Camera and I don’t care what great exclusives they may get in the future. I will NEVER own an XBOX because of that Camera. If the console gets released for $380….. then, and only then will I ever buy an Xbox One. It’s not as powerful as the PS4, so it should be cheaper than the PS4 or the same price. I’m actually OK with Kinect now that it’s not required. This way, if it doesn’t work like I want it to, I can pack it up and it doesn’t affect the console. Thanks for reading and commenting. Greatly appreciated. Do you think those policies are still lingering? I do, and that’s why I won’t buy one on March 11th. Thanks for reading! I felt my reasoning was pretty clear: there are those that think people like myself, that had a very negative reaction were overreacting and not listening to their message. I’m using this venue to state that I did listen, they didn’t say anything. All I wanted was some explanations and reasons for these moves. Some transparency. Left to our own devices, all we have is what they said and for me it was no good. Something spooked them, they changed course, so I’m good. I’m not going to not get a console I want because they messed up. Is it possible they could try it again? Sure, but as of right now, they aren’t so I’m in. If they do, the. I stop supporting their console with game purchases. That’s their long term bread and butter, software sales. Easily the best article I have seen on this particular topic. I honestly don’t understand how people can be gullible enough to believe that DRM would ever actually be beneficial to anyone other than Microsoft. The Family Share Plan was a glorified demo system, that much was rumored & leaked from people inside Microsoft itself, there is no chance that Microsoft essentially destroys 90% of their software market, it’s absurd to think that they would ever do that, people just blindly take things on faith when they come from companies they have irrational connections to. You bring up a great point that these decriers also can’t seem to wrap their head around, if the DRM was going to “revolutionize the industry” and “be a great step for consumers” there is no chance in hell they would just have axed it, they would’ve done exactly what they are doing w/ the Kinect, which is to push forward and try to prove it’s benefits (although they don’t seem to be too keen on doing that at this point either w/ the lack of supported software available). At the end of the day, the only rational explanation I can see w/ people who support the DRM is that they are the definition of fanboy, to the point that even when they are getting knifed in the back, they will smile and ask for a twist. Very well written piece here, the next time anyone tries to argue “the benefits of DRM”, this is where I will promptly direct them. Thank you very much! Please feel free to share this as much as you like. I actually shelved this topic but recently it has come up again in discussions I had been having so I decided to dust it off. Glad it’s resonating with people.